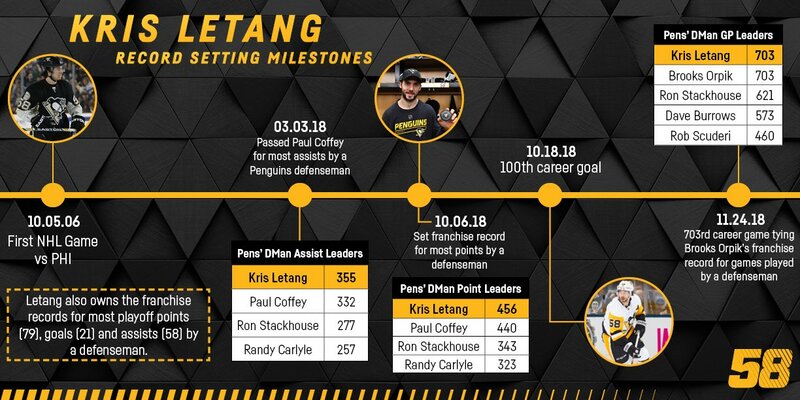 It has been the season of career milestones for Kris Letang, with last night being his 3rd one – playing his 704th game as a Penguins defenseman! He surpassed former teammate Brooks Orpik to set a new franchise record. Congrats Kris! 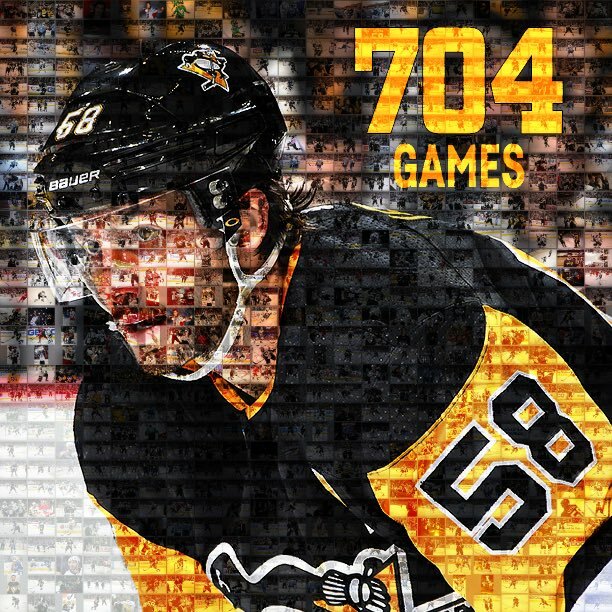 The Penguins PR put out two amazing graphics to commemorate this achievement! Next story Penguins fall to the Avalanche 6-3, Sidney Crosby gets a natural hat trick! Previous story Penguins beat the Jets 4-3!